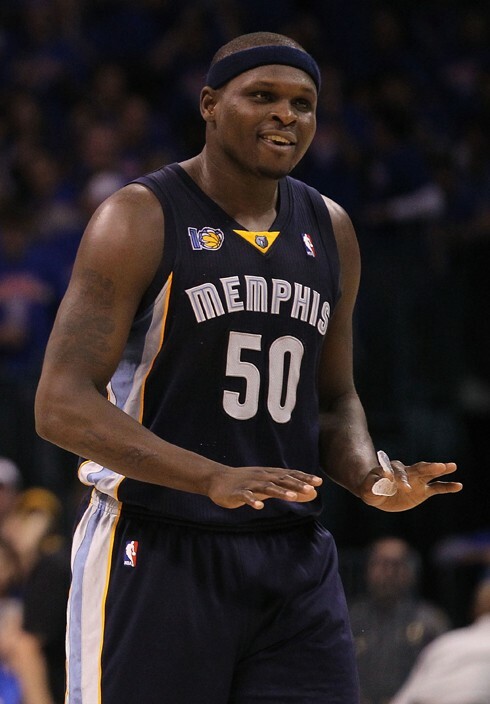 Memphis Grizzlies forward Zach Randolph is doing big things on and off the court. This afternoon, Randolph donated $20,000 to Metropolitan Inter-Faith Association (MIFA), which the organization will use to pay utility services for 100 homes on the verge of service disruption. The hefty contribution is a part of Randolph's newly-formed Zach Randolph Community Assistance Fund initiative. Through the fund, Randolph plans to provide goods, services and other resources to local families and organizations in need. An event was held at MIFA's headquarters (910 Vance Avenue) Monday, February 24th, to launch the fund and recognize Randolph's donation to MIFA's Plus-1 program. The program helps provide assistance to individuals who have trouble paying their Memphis Light, Gas and Water (MLGW) utility bills. After brief speeches provided by representatives from MIFA and MLGW, Randolph expressed his happiness to be able to help out those underserved in the community. "It's always a blessing to give back," Randolph said. "This is home to me. This is my community, so I'm just giving back." Following the gathering, Randolph and others traveled to the homes of a couple families that will benefit from his financial contribution. This is Randolph's fourth $20,000 donation to MIFA's Plus-1 program, but the first under his new community assistance fund.